The horror genre has always fascinated me –– there’s so much to unpack about what makes people’s skin crawl, what the darkest sides of humanity can make us do, and what might await us beyond this realm. Plus, I just love scaring myself. But good horror TV is hard to find. I’ve been a long-time Supernatural viewer but at this point, I watch out of loyalty. The show hasn’t really gone anywhere; the character development can be likened to a hamster on a spinning wheel, and the same few white guys seem to rotate through the show like recycled paper. American Horror Story was once a contender for me as well; but these days, it tries so much for shock and trending topics that it’s lost sight of the unnerving magnetism it created in its early seasons. Even the new Amazon series Lore, a take on an excellent podcast, is more of a series of half-baked reenactments than a horror anthology. But last year, FOX picked up a little show called The Exorcist, based on the film of the same name. I’d seen it in my peripheral all through last year; as a fan of the Wachowski’s Netflix masterpiece Sense8, I followed one of the actors –– Alfonso Herrera –– as he promoted his starring role on the new show. I had no idea what I was in for. Father Tomas (Herrera) is a pastor of St. Anthony’s parish in Chicago. Tomas is the posterchild for perfect priesthood. His grandmother always dreamed for him to become Pope, and honestly, by the looks of this guy, you wouldn’t be surprised if that was in his future. Tomas is content where he is: serving his community and making waves as a young, enthusiastic, and genuinely relatable leader in the Catholic Church. Until he starts having visions. Very specific, detailed dreams about a man in a black hat battling the darkest of spirits –– and those spirits appear to be getting stronger. His visions come to life when he meets Father Marcus (Ben Daniels), the subject of his dreams –– a rugged, jaded, excommunicated English priest performing unsanctioned exorcisms all over the globe. Marcus swoops into Tomas’ life with a sketchy past and a whole lot of baggage –– and the ability to pick locks (Marcus’ idea of moving forward in his relationship with Tomas is to let himself into the latter’s apartment. He doesn’t get out much). The unlikely pair’s paths cross just as evil has come to Chicago in light of the Pope’s upcoming visit. Before long, Tomas finds himself completely immersed in tracking down the demon terrorizing a family in his parish –– and he needs to work with Marcus, a practiced loner, to do it. Cue the beginning of a friendship that changes them both and a journey that tests their faith at every turn. Fox’s The Exorcist isn’t just a thrill ride. There are, of course, very scary, visceral moments. Visually, the special effects and makeup –– particularly in the very gruesome exorcism scenes –– offer a lot to fans of the original Exorcist film who would like to see modern technology applied to the classic horror concept. The series even pays homage in subtle ways to classic films like The Shining and, of course, the movie it’s based on. But it doesn’t pander to its intended audience with too many jump-scares or horror tropes. And the show definitely isn’t an advertisement for any Christian faith (or lack thereof). In fact, as someone who was raised Catholic, I’ve found the pressing of particular views onto characters or the audience to be virtually nonexistent. Instead, the show builds upon human insecurities and characteristics that the demons in the show prey upon. The foundation of Marcus and Tomas’ beliefs largely floats in the background of the bigger, very human issues. Often depicted under the surface of demonic possessions in this show are non-religious issues –– the strains associated with familial dynamics, the question of finding oneself as a young person in an ever-changing world, and even topics like abuse and exploration of sexuality. More than anything, this show has heart. The two principal characters develop a very strong bond over the course of two seasons, and we also see them develop individually. If you’ve watched any horror TV lately, you’ll know character development is not something the genre is always quick to deliver (I’m pretty sure Sam and Dean have been passive-aggressively keeping the same secrets from each other for twelve years and counting). But The Exorcist excels at making us care about Tomas, Marcus, and the people with whom their paths cross. While Marcus comes off as reserved and closed off, the audience gradually comes to know bits and pieces of his past, his fears, and the man he used to be before the job took him over. Tomas, who initially appears to have a very fulfilled life, has insecurities and temptations just like anyone. These character struggles are not separated from the traditional “horror” aspects of the show; in fact, they’re woven into the plots themselves, making for a dynamic combination of drama and horror. Even the characters who are part of Tomas and Marcus’ “case” narratives develop enough over the course of the season that the audience genuinely wants things to work out for them. The show creates investment in its plots and characters right away –– and effectively –– through creative storytelling and realistic character growth. Plus, the way Tomas and Marcus look at each other could rival the longing gaze of any rom-com couple. I’ll leave it at that. If you’re looking for diversity, The Exorcist has plenty. Though Marcus doesn’t necessarily pin a label on his sexuality, he has a history for falling for both men and women. Compared to shows in the same genre (like Supernatural), such representation in sexual fluidity is practically nonexistent. Plus, particularly in the most recent season, the main characters are largely played by people of color. Herrera, a Mexican actor, portrays a Mexican priest; Kurt Egyiawan plays Father Bennett, an ally of Tomas and Marcus within Church walls; and Korean-American actor John Cho (Star Trek), who felt strongly about playing a Korean character, took on the role of Andy Kim this season. Even the new female character introduced this season is a woman of color (Mouse, played by Zuleikha Robinson). 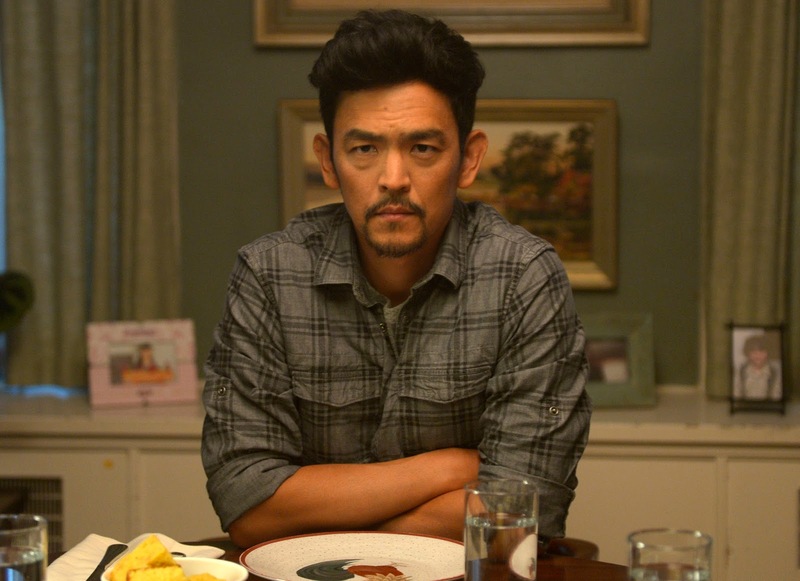 The show does not shy away from authentic representations of POC, and while every show can always improve in this vein, The Exorcist is off to a pretty decent start. Plus, while we don’t know much about Mouse’s character yet, we know she’s fighting her hardest against the male-dominated Catholic Church and the archaic, patriarchal institutions it upholds. Herself an exorcist, Mouse is initially introduced in the context of Marcus’ past. But it’s clear, if the show continues, that she won’t stay there. While I won’t give away too much, I’ll say that while the show makes it apparent that Marcus couldn’t save her many years ago, it makes very clear that Mouse can save herself –– and Marcus and Tomas, too. There’s much room for character growth and uncovering, and Mouse’s journey has only just started. 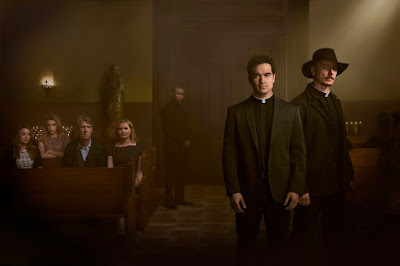 My roommate and I breezed through season one of The Exorcist so quickly that we were able to watch the second season as it aired, which was perhaps even better than the first. Fox, unfortunately, has kept the show in the “death slot” –– a.k.a. Friday nights –– which hasn’t allowed it a lot of exposure. At the end of last season, Fox kept quiet about renewing the show until the last minute. There’s a small, dedicated group of us fighting for the show’s life on Twitter and other social outlets. #RenewTheExorcist is a hashtag fighting to make its way to a trending topic, and there are fan accounts across social platforms dedicated to the show and its revival. But why not try to make the group bigger? To me, a show that’s doing so much for the horror television genre –– and for POC and LGBTQ representation –– shouldn’t sit twiddling its thumbs in a Friday slot. It should be talked about outside of niche fan sites; it should be upheld as an example of a show that’s trying its hardest to push boundaries. It’s not a show to be missed, and if it’s renewed for a third season, I hope it has the opportunity to gain the recognition it deserves. And there is still time. A decision hasn’t been announced yet about the show’s future, and it likely won’t be until April or May according to the writers. Check it out on Hulu. Watch the latest season on Fox’s livestream service. Tweet Fox about it, and tweet the creators to tell them how much you love it! Because trust me, you’ll love it.